This is my fourth summer teaching Bible Science to K-5th graders every Wednesday night in the summer. The first year I did this our classes doubled in size! That was incredible. The kids LOVED it. They got to play with their friends on the play ground, eat pizza, do science experiments followed by an applicable bible lesson. I have to admit, every week I went home worn out, but absolutely loved what I was seeing from the kids. They were excited to learn God’s word. Well, they were excited about the “fun” stuff and God’s word was intertwined; it was the whole purpose and they were enjoying it. 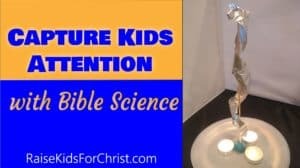 So what is Bible Science? 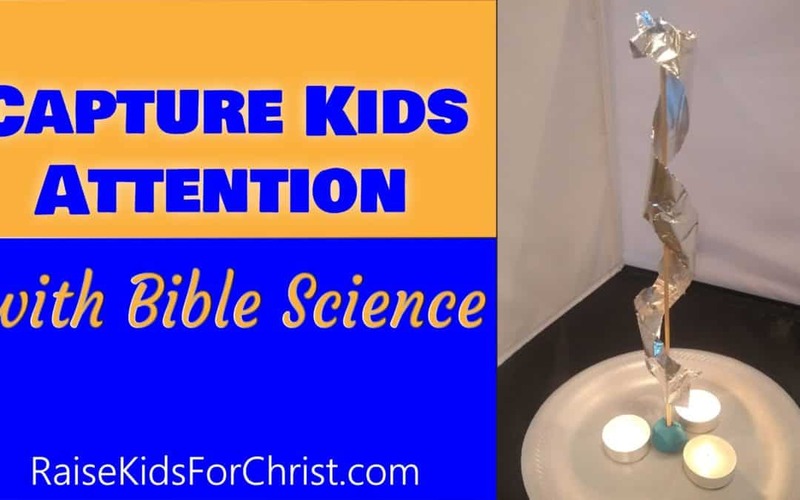 It is taking a simple science experiment to draw kids in and capture their attention so they are receptive to God’s word. I have heard of teachers performing the experiment at the head of class while everyone watches, but I prefer to let everyone participate. If they are hands on, they are more engaged and in turn, more likely to remember what’s being taught. Some experiments everyone does it themselves and then there are others that are better suited for small groups of 2-3 kids, especially if my kindergartens will struggle with parts of the experiment. Next week we will play with dry ice, another we will explode a mix, we experiment with magnets and more. The idea is to keep it interesting so they keep coming back for more! For those interested, I’ll have a book of experiments with lessons out late this summer. I’ve had this request quite a bit so I’m finally getting it together!! These are great for a weekly summer program, a week of day camps, a Saturday event during the school year and more! It’s all about getting kids to come participate so you can share God with them.